Experience the Joy of Movement! Nia Barefoot Cardio Dance Workout puts the joy back into getting fit. Drawing from nine different movement forms and a wide variety of music, Nia offers something for everyone. 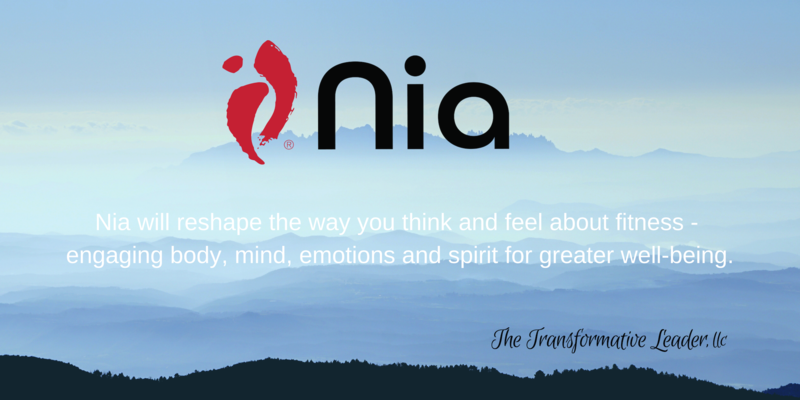 Whether you’re looking to improve your fitness, heal or prevent injuries, find some enjoyable cross-training, tone up or just have fun moving to the music, Nia could be what you’re looking for. In addition to the nine movement forms, in each workout we also focus on the five sensations of fitness: Flexibility, Agility, Mobility, Strength and Stability (FAMSS). This varied movement supports functional fitness, preparing the body for real life activities and makes it easier to do the things you love to do more easily with reduced risk of injury. Nia workouts are adaptable to all levels of fitness, making it good for beginners or long-time athletes. $10 Drop-in or purchase a class pass. First regular weekly class is always FREE! Dress comfortably, bring a water bottle and a light snack for after your workout.